Everyone should be cautious about traveling in extreme winter weather. 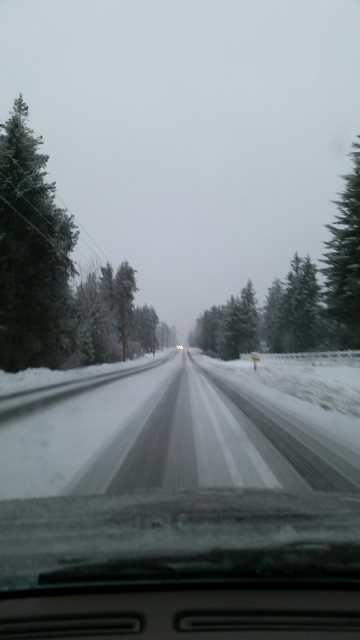 Snow and ice covered roads can prove to be dangerous for both new and experienced drivers! I live in a snow belt so winter driving comes with the territory. I'm not afraid to drive on snow or ice packed roads, but I do drive differently. I'm always nervous about what the other drivers on the road might do, so many reckless winter drivers, that don't stop to think before they get behind the wheel. There are so many different things you can do to keep you, your family and the other drivers safe during winter driving conditions. Planning ahead and being prepared could make all the difference. SLOW DOWN: Just because the speed limit says 60 mph doesn't mean it's safe. Adjust your driving speed according to the outside weather conditions. It's not safe to drive 60 mph if it's snowing heavily outside or if the roads are slick. Plus, your visibility is decreased and it takes longer for your vehicle to come to a stop! Do you or someone you love enjoy drinking wine? Do you have a special or favorite wine glass? If you or someone you know enjoys a nice glass of wine, then this is for you! All I can say is WOW! When I opened my package, I couldn't believe what I was seeing. 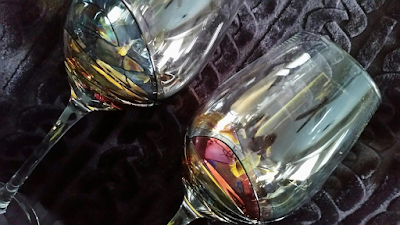 These hand painted wine glasses are absolutely BEAUTIFUL... and BIG! I've NEVER seen wine glasses like these before. These win glasses are sturdy, durable, and simply stunning! My wine glasses arrived quickly and were packaged with care to ensure their safe delivery. These wine glasses would make the perfect gift for the wine lover in your life - perfect wedding, anniversary, hostess or birthday gift! 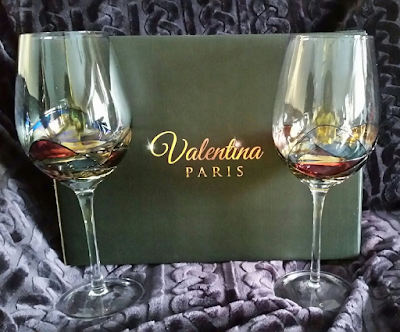 THE PERFECT GIFT: Valentina Paris unique set of 2 wine glasses are a work of art, each unique and unrepeatable that will make your wine taste incredible, your dinners elegant, and your living space look even more amazing. 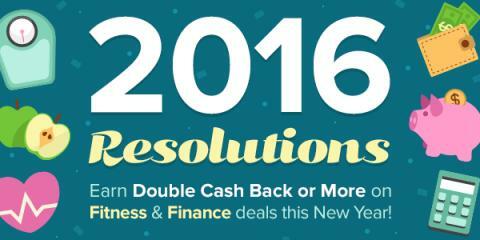 Fulfill your New Years Eve Resolution with Swagbucks! January 1st is famously known as a time of New Year’s Resolutions and we always hear a lot of talk about trying to live a healthier lifestyle this time of year. It’s hard to do by yourself though, especially as the colder months set in. If you've considered a get-fit New Years Resolution this year, We've got the site to help you keep it, and save some cash too! Shopping with Swagbucks can help you get ahead of the game, while earning tons of Cash Back on New Year’s Resolution deals this New Year. It’s time to make your 2016 Resolutions stick! 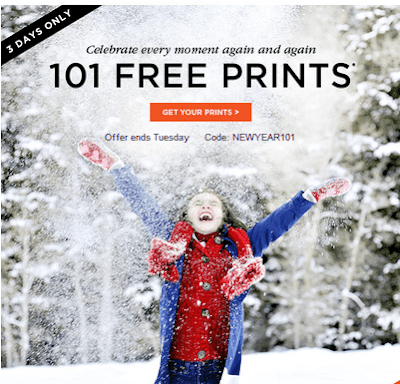 101 Free Shutterfly Photos ~ ENDS TUESDAY! If you are anything like me, you took a ton of photos over the holidays. We had Christmas, a new baby joined our family, a New Year's Eve celebration and a New Year's Day jeep run in the mountains with friends. Shutterfly is always one of my favorite places to get photo prints... especially when they have FREE photo prints! Their photos are always great quality and they arrive quickly too. To kick of the New Year, Shutterfly has a great offer where you can get 101 free photos, all you have to pay is shipping. Get your FREE Bloomin' Onion at Outback Steakhouse - TODAY ONLY! TODAY ONLY you can get a FREE Bloomin' Onion® appetizer at Outback Steakhouse! All you have to do is tell your server, "Outback Bowl" to take advantage of this great offer. Save $1,378 in 2016 With the 52 Week Money Challenge! We all know that a penny saved is a penny earned, right? Did you also know that by putting a little money away each week, you could save nearly $1400 in one year? This is a simple and cost effective way to save for those unexpected emergencies, household or vehicle repairs or even your family vacation. I'm also one that never passes a penny on the ground without picking it up and putting it my pocket! As a frugal shopper, I'm always looking for new ways to save, both for the present and the future. You never know when your savings or rainy day fund will play a vital role. 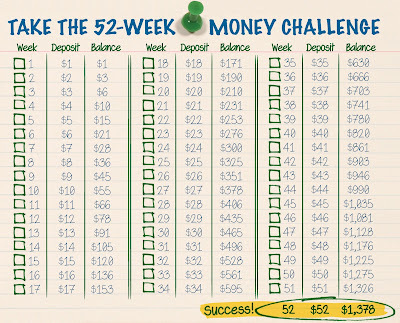 The 52 Week Money Challenge is a simple plan to save $1,378 in one year. Every dollar adds up quickly... what could you do with nearly $1400? 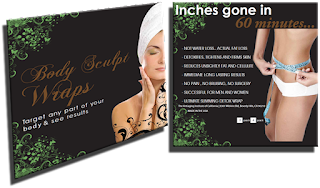 Body Sculpt Wraps is a ready made , easy to use wrap that can target any part of your body and you see results. It is Made in America with no parabens or preservatives with all natural herbal ingredients. It scientifically helps promote inch loss & weight loss. The great thing about this wrap, is that it can be done in the comfort of your own home and we have even designed a special piece of shape wear that can enhance the results overnight, leaving you lose inches in your sleep. Why not wake up with a thinner you?